How To Generate Revenue With Inbound Marketing Strategies! Inbound Marketing tactics don’t just generate leads, they generate revenue! This is because it targets creating relevant content to attract potential customers. By providing content that is specifically formulated to appeal to your ideal customers, you can attract prospects. Converting the prospects into customers is the next step, and then creating value to keep them coming back for more is the tactic! 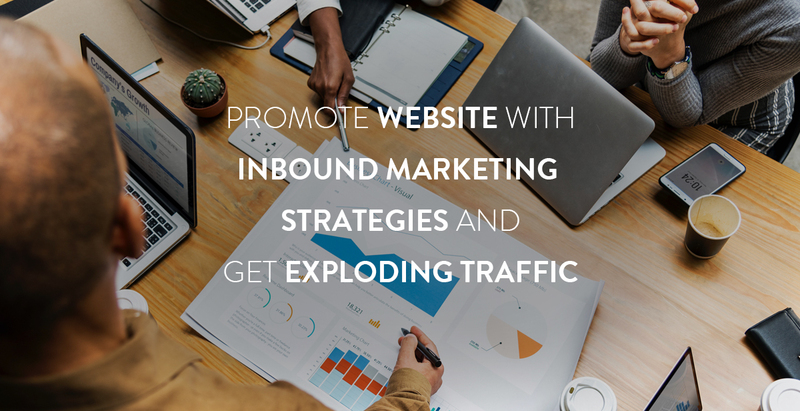 Build Traffic With These Effective Inbound Strategies – Sky-Rocket Your Website Visitors! First, you work to attract a visitor by using compelling content that appears in search engine results. Next, you convert these visitors to leads. Then you close the leads and convert them into customers. Finally, you delight your customers by constantly providing them with up-to-the-minute content. Doing so is a proven strategy that works for the best companies in the world. Recommended Inbound Marketing Strategies To Build Traffic To Your New Website. Create a Target Persona – understand what your target customers want to learn about. To understand the profile of customers that you need, it is important to first analyze their demographics. For this, check the ‘Insights’ page on Facebook, say for instance, and take a look at the ‘Your Fans’ column. This will help you understand what demographics apply to your website. Secondly, it is important to know what can interest the crowd. The effective way is to provide content that appeals to what they truly need. The first and easiest way to get to know your target market is through a potential survey. Effective content can get the target crowd to come to you, rather than you having to go hunting them. Conducting surveys prove their effectiveness because it is based on this data that effective content is created! The quality of the content created is the most prime feature of the inbound marketing strategy. According to newborn data, 69 percent of the present best-in-class marketers align their content with their marketing and sales funnel stages. Crafting a heading that attracts your targeted customers must be your sole commitment. Did you know that companies which blogged with catchy headlines received 97 percent more leads to their websites than companies that did not?! 5. Pictures, Charts, Infographics, Videos… What More Have You Got? Make room in your content for images, videos, charts, and graphs to make your content more attractive. Interactive content flies off your website shelf with ease. Videos are not to be missed to make the target crowd more engaged. Who doesn’t like the in-depth content? People prefer all-at-one place rather than researching different websites for the required data. For instance, videos around 10 minutes work the spell, sp does in-depth reports, e-books, podcasts etc. Data and analysis are thus essential requisites for better SEO rankings! For instance, Blog posts take up 41% of the rankings, Whitepapers, and Ebooks – 14%, Videos-12%, Webinars – 7%, Podcasts-3%, and others-13%. 7. Did u know that Stories work their spell? Did you know that 80% of decision-makers adopt the method of learning about a business via articles rather than from mere advertising? Around 67% of senior marketers believe that business stories, photos, and videos are essential to generate traffic on your website! 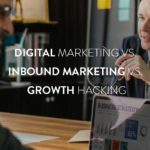 This will draw more people to your sales funnel and help grow your startup through inbound marketing. 63% of the populace perceive blogs with multiple authors to be more trustworthy! Guest blogging provides competent traffic, necessary links, accomplished leads and sales on your website. This keeps the magnitude of organic traffic mounting even years after the content is published. This means you keep getting qualified leads on a long-term basis. A brilliant and experienced blogger invests a mammoth proportion of his time on email marketing! In fact, in 2013, digital marketers in India increased marketing spending towards email marketing by 57%. Other strategies include generating more blog visitors to your website, building more contextual links, generating more subscriber lists and increasing your followers on Twitter. Are you aware of the fact that SEO leads have a 14.6-percent close rate? Around 81 percent of shoppers research online before buying. To attract the customer crowd at their moment of buying, what more effective strategy could you possibly prefer?! This inbound marketing strategy is important to increase your search engine results. To increase the number of backlinks to reach your content, it is necessary to outrank those pages on the other websites. For instance, strategies like providing some free content to get the users’ contact information such as their email address etc. Webinars encourage a customer to learn in real time. This strategy can help increase your leads. For instance, to get a free training, visitors are first prompted to enter their email address and contact details. ‘Column Five and Microsoft’ illustrated a case study where they portrayed that 84 percent of worldwide marketing professionals plan on launching influencer-based programs in the next year. 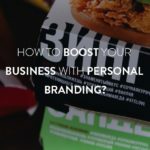 This can indeed be a free method to get people to be stimulated about your brand. According to the latest statistics, 84 % brands find their influencers through different influencer identification tools. Another 69% of the brands launch new products to find their influencers. A proportion of 72% focus on the relevance of their achieved target crowd. And finally, 85% find email as the most effective channel to find their influencers. Build email campaigns and a strong relationship with your influencer crowd! Email marketing has a vast ROI. Building relationships with clients even when they don’t fall for your sale tend to generate 50% more leads at a 33% lower cost! Pitching your product immediately after someone signs up on your email list will toss your sale out of its seat! Instead, send them a welcome invite. 13. Conversion of Visitors Into Leads – The Final Step Towards Your Goal! You need to make sure your website is ready to convert your traffic into leads and customers. Calls to Action, Landing Pages, and Contact Forms are strategies that will help you learn more about your visitors and service their needs. 14. Is Your Website Mobile Accessible? Mobile searches are making up a larger and larger proportion of visits. If websites aren’t appealing to mobile users, they’re losing out on valuable traffic. If you want to skyrocket the conversions you’re getting from the content you publish on your website, look no further than to keep providing your customers with continuous content upgrades. 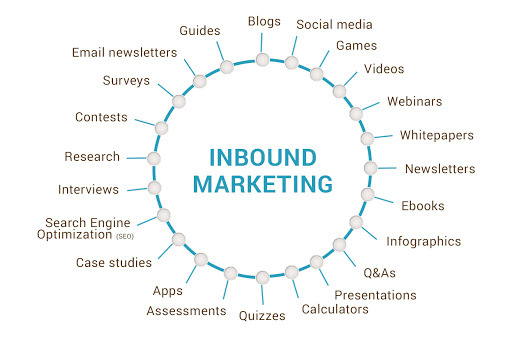 Inbound marketing is undoubtedly, the most effective way to increase your visitors, leads, and buyers!! So what is your Inbound Marketing Nirvana?! Good and excellent article. Keen content.